1. In Teaching and Results, go into ‘Write Course Reports’. 2. 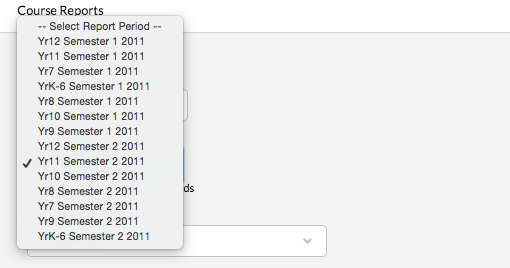 Tick the box (circled in red below) labelled ‘Show completed report periods’. 3. 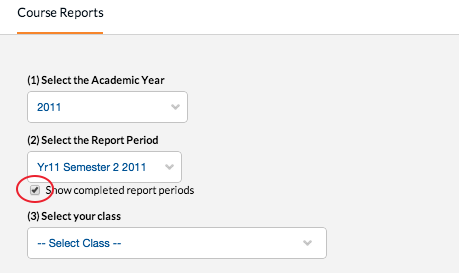 You will now be able to select reporting periods from previous semesters, as well as previous years in the academic year drop down box.